Pure, simple and very delicious. 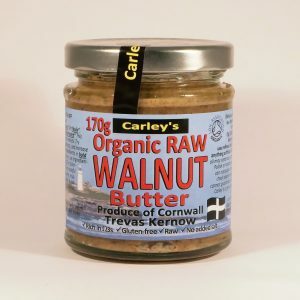 A Carley’s classic which we have made for over twenty years! 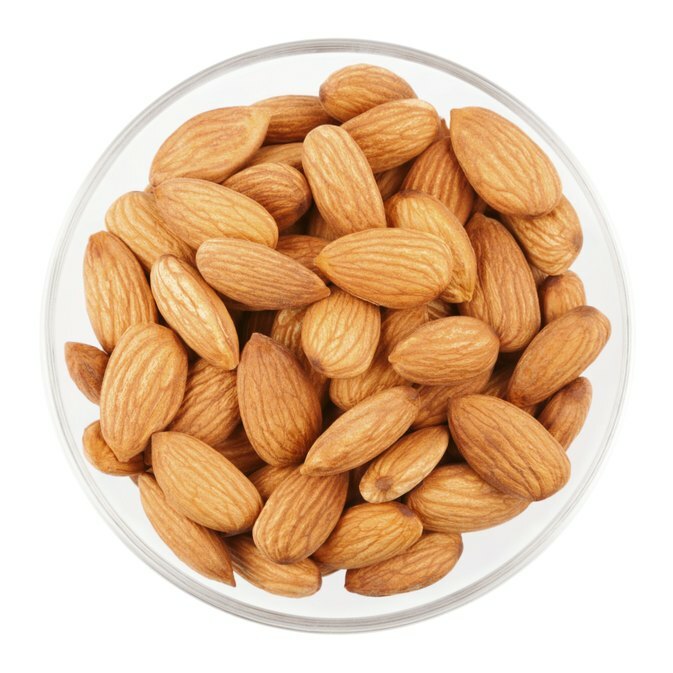 100% whole Organic Sicilian Almonds, nothing added, nothing taken away. 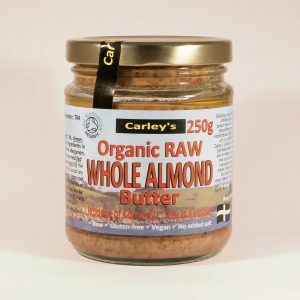 We carefully roast then mill whole organic almonds to a luxurious nut butter. It doesn’t get much simpler than this. 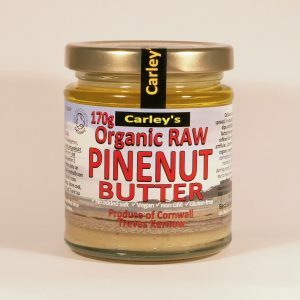 Incredibly nutritious and delicious, try on good old toast or crackers and great for baking too! Or try some added to a smoothie for a delicious indulgent nut milk treat. 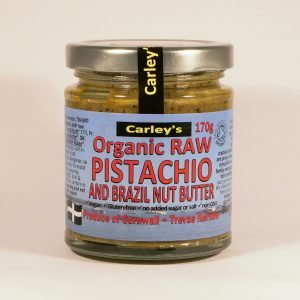 Fabulous in almost any recipe, sweet or savoury, we use it in bread, cakes, sauces, stuffing, pates, nut roasts, marinades, curries, desserts, biscuits……… and on and on! 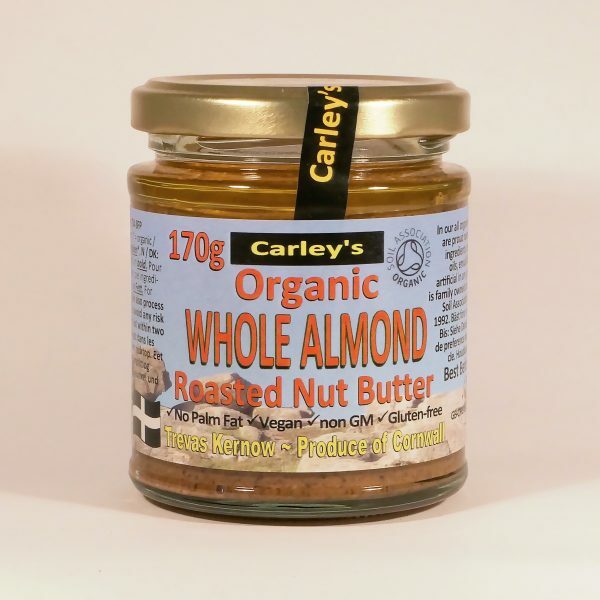 Our nut and seed butters are great for coeliacs or those who follow a gluten free diet, as we know from making them, some gluten free recipes can be dryer than gluten containing versions, add a dollop of a Carley’s nut or seed butter and moist cakes and bakes reign supreme again! We don’t add salt to any of our nut or seed butters, easier to add it than to take it away! If you prefer a touch of salt simply sprinkle a bit into your jar then stir it through. There is one exception! We add a tiny touch of natural sea salt to our new Smokey Chilli Peanut Butter.